Each bottle or can of our beer, wine, cider (and spirits in Washington) is carefully selected by our knowledgeable experts. We scour our local regions, as well as the world, to bring you the very best. Looking to try something new? We have frequent tastings in our stores. Visit our Tasting Schedule to see what and when we’ll be sampling at your neighborhood Haggen. It’s the perfect time of year to cozy up by fire and enjoy some handcrafted cocktails with friends and family. Visit our blog for some of our favorite recipe ideas like Hot Buttered Rum and BelleWood’s Hot Apple Brandy Cider. 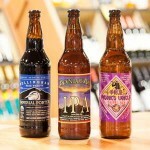 The large selection of local wines, beer and spirits at Haggen can be overwhelming. Our expert specialists are trained to help you find the perfect drink for any occasion—large to small, formal or casual—to complement your food beautifully. We’re happy to offer globally renowned Northwest varietals, as well as some of the top wines from around the world in our stores. Visit our robust selection and talk with our expert specialists. Our Northwest backyard is filled with some of the best breweries around. In our beer section, you can pick up local brews from all over our region like Kulshan Brewing Co., Boundary Bay Brewery or Skagit River Brewery. As the Apple Capital of the world, the Northwest produces some phenomenal ciders. Cider is making a comeback in foodie culture, which is why we’re happy to offer so many varieties. And many of our ciders are naturally gluten free! 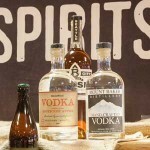 The small distilleries we source our Northwest spirits from provide us with a plethora of locally crafted rums, vodkas, gins and brandies in our Washington stores.